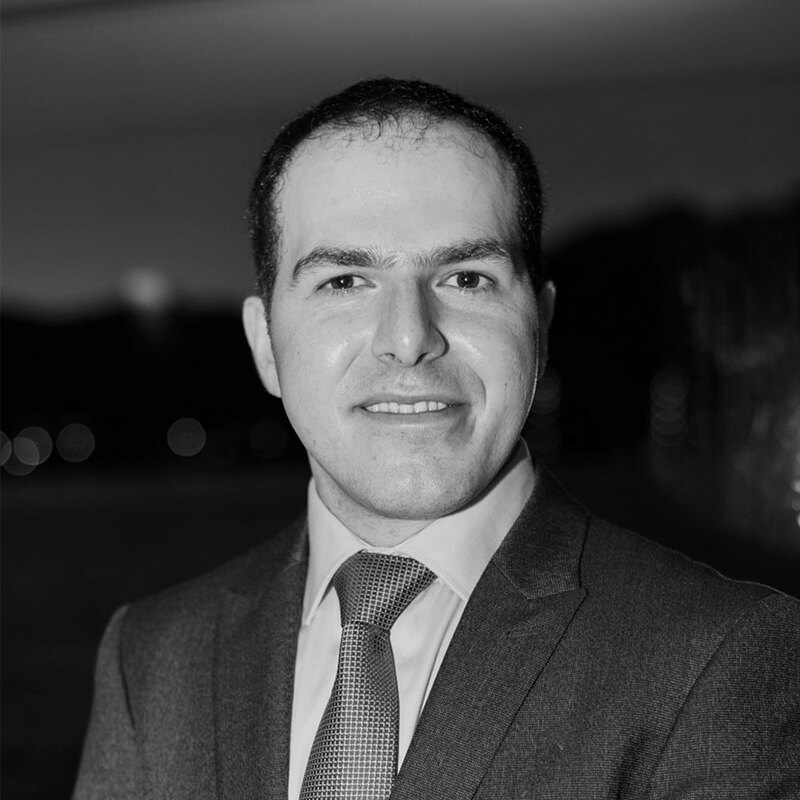 Dr. Malek received his BSc and MASc degrees in Mechanical Engineering, and his PhD degree in Civil Engineering (Structures) from The University of British Columbia (Canada) in 2014. He was a Research Affiliate at Massachusetts Institute of Technology (MIT) and worked as a FEA Structural Analyst in industry before moving to UTS in 2017. Sardar developed an efficient multi-scale modelling approach for the analysis of time-dependent (viscoelastic) behaviour of composite structures in his PhD work. In recognition of his PhD research, Dr. Malek was awarded the prestigious NSERC Alexander Graham Bell Graduate Scholarship (2011) and Michael Smith Foreign Study Scholarship (2012) for conducting research at École Nationale Supérieure de Mécanique et d'Aérotechnique-CNRS, in France. He conducted his postdoctoral research at MIT where he developed a computational multi-scale model to understand the mechanics of cellular composites and balsa wood (the lightest wood). The multi-scale model he developed has recently been used to guide designing bio-inspired cellular composites that exceed the specific elastic properties of cellular materials (e.g. polymeric foams, metallic honeycombs) currently available to engineers. His research interests are in the area of multi-scale modelling, machine learning based design, and reliability analysis of composite structures subjected to extreme static and dynamic load conditions. One of his main research directions is to investigate the mechanical behaviour of natural composites such as wood and bamboo at multiple length scales; i.e. from nano- to macro-scale (structure). As he has shown in his research, the improved understanding of these renewable materials and their composites would lead to: (i) development of green lightweight composite materials for the new generation of buildings and (ii) bio-inspired design of multifunctional composites using additive manufacturing techniques, such as 3D printing. Dr. Malek has been a reviewer for several international scientific journals such as Nature Communications, Mechanics of Materials, Construction and Building Materials, Journal of the Royal Society Interface, ASCE Journal of Engineering Mechanics, European Journal of Mechanics - A/Solids, Journal of Thermoplastic Composite Materials, Journal of Reinforced Plastics and Composites, and Bioresources. Due to his wide range of expertise, Dr. Malek has played key roles in several research projects funded by both industry and government. He has also been involved in several interdisciplinary projects and collaborated with researchers and engineers from reputable companies, research centers, and organizations such as FPInnovations (Canada), Composite Research Network (CRN), Institut Pprime (France), BASF (Germany), Ford (USA), Boeing (USA), German Aerospace Center, Ballard Power Systems (Canada) and Audi/Volkswagen (Germany). He has provided consultancy services to various Australian and Canadian companies. Lightweight cellular materials such as honeycombs and foams as well as natural materials like wood have wide engineering applications in the aerospace, marine and construction industries. Engineering honeycombs and foams could be made from different materials including polymers, metals, ceramics and composites, with pore sizes ranging from nanometers to millimetres. Their cellular structure gives rise to a unique combination of properties, which are exploited in the design of sandwich panels and structural insulated panels in energy-efficient buildings. Fundamental understanding of the structure and mechanics of natural composites materials through multi-scale modelling, combined with machine learning techniques, will guide efforts to design and construct cellular structures with exceptional performance in collaboration with engineers and architects. The motivation of this research comes primarily from the needs of the construction, aerospace and marine industries where large, composite structural members are employed. High-performance lightweight materials with various microstructures and properties are increasingly being developed to meet the needs of these industries and communities across the world. With the move towards knowledge-based design of composite structures, having predictive tools, which are capable of relating the material properties at different scales to composite’s structural response, is desirable. Engineered wood products such as strand-based wood panels and cross-laminated timber are a new category of sustainable (green) building materials that are being embraced by architects, especially in North America and Europe. Similar materials such as strand-based bamboo composites are also becoming popular in other parts of the world (e.g. Brazil, Columbia, and China) due to their higher strength, reasonable cost compared to conventional construction materials, environmental friendliness, and tailorable properties. Engineered wood products are manufactured through combining orthotropic wood strands, veneers or blocks with a small amount of adhesive (glue). The adhesive (e.g. a thermoset resin) glues the wood pieces together. The structural members made from these composites are often considered to be stronger, more reliable and more dimensionally stable than solid sawn lumber. The use of such structural composite products as construction materials demands certain requirements of their mechanical properties be known such as stiffness and strength as well as some serviceability requirement such as the allowable amount of creep due to moisture, heat or long duration of loads (e.g. snow loads). In a collaborative work with members of Composite Research Network (CRN) at UBC, and a team of experts at FPInnovations (Canada), I developed a comprehensive multi-scale modelling framework for the analysis of strand-based composite structures. The predictive capability of this framework was validated for the elastic response of wood oriented strand board (OSB) using available experimental data. Development of this mechanistic framework was a significant advance over the largely empirical models that have been used in industry for estimating the elastic structural response of wood composites and furthermore reduces the reliance on testing for evaluating these properties. By accounting for the different structures of wood and bamboo tissue recently, the same multi-scale modelling approach has recently been applied to predict the modulus of elasticity (MOE) of Moso bamboo OSB successfully at MIT. This research will provide tools and guidelines for designing more reliable green timber structures and improving the performance of structural members (e.g. beams, columns, and shear walls) made of sustainable materials while reducing the overall cost of the construction. Therefore, it will accelerate the insertion of green composites into structural applications such as tall timber buildings. The multi-scale modelling approach described earlier involves several variables as inputs and uncertainties may be associated with them. In a collaborative work with experts in the field of reliability analysis and researchers at FPInnovatiosn (Canada), I have shown that the multi-scale modelling framework can be integrated with available reliability software packages to perform a probabilistic analysis on wood composite structural members. Such integration is not straightforward for composites with complex microstructures such as wood composites. This research will provide tools and guidelines for improving the safety and performance of structural members (e.g. beams, columns, and shear walls) made of sustainable materials while reducing the overall cost of the construction. v. Bioinspired innovative solutions to mitigate damage in building structures under seismic loads. Dr. Malek is always looking for highly motivated and energetic postgraduate students to conduct research in any of the above areas. Undergraduate students who are interested to do their capstone projects under my supervisions could contact me by email with their CVs attached. The hierarchical structure of the hardwood balsa (Ochroma pyramidale) is modelled sequentially at various length scales to describe the contribution of each to its elastic moduli. The model takes into account the main features of the microstructure at each length scale, including the orthotropic properties of cellulose microfibrils, the microfibrillar angle, the thickness of cell wall layers, as well as the geometry and arrangement of the cells: the rays, fibres and vessels. Similar to some multi-scale models proposed for softwoods, at each length scale, a representative unit cell of the material is identified and the effective stiffness matrix is determined using finite element analysis with appropriate periodic boundary conditions. A comprehensive search in the literature was conducted to obtain input values for the model. The results of the model, over a wide range of densities, gives a good description of experimentally measured values. The model highlights the significance of cellulose crystallinity, microfibrillar angle and the ray and fibre cell geometries (including the density) in determining the overall elastic constants of balsa. In the future, the model can be used as a tool to design lightweight cellular composites with optimized cell wall composition and cell geometry. Additive manufacturing technologies offer new ways to fabricate cellular materials with composite cell walls, mimicking the structure and mechanical properties of woods. However, materials limitations and a lack of design tools have confined the usefulness of 3D printed cellular materials. We develop new carbon fiber reinforced, epoxy inks for 3D printing which result in printed materials with longitudinal Young's modulus up to 57GPa (exceeding the longitudinal modulus of wood cell wall material). To guide the design of hierarchical cellular materials, we developed a parameterized, multi-scale, finite element model. Computational homogenization based on finite element simulations at multiple length scales is employed to obtain the elastic properties of the material at multiple length scales. Parameters affecting the elastic response of cellular composites, such as the volume fraction, orientation distribution, and aspect ratio of fibers within the cell walls as well as the cell geometry and relative density are included in the model. To validate the model, experiments are conducted on both solid carbon fiber/epoxy composites and cellular structures made from them, showing excellent agreement with computational multi-scale model predictions, both at the cell-wall and at the cellular-structure levels. Using the model, cellular structures are designed and experimentally shown to achieve a specific stiffness nearly as high as that observed in balsa wood. The good agreement between the multi-scale model predictions and experimental data provides confidence in the practical utility of this model as a tool for designing novel 3D cellular composites with unprecedented specific elastic properties. The modulus of elasticity (MOE) of three-layer moso bamboo (Phyllostachys pubescens Mazel) Oriented Strand Board (OSB) was modelled using a multiscale approach proposed for wood OSB. The modelling approach for wood OSB was adapted to bamboo OSB by accounting for the different structures of wood and bamboo tissue. The MOE of moso bamboo OSB was measured previously in bending; the strands in the surface layer had a preferred orientation and were either from the internode region of the culm or contained node tissue. The model for loading parallel to the preferred orientation of the surface strands gives a good description of the measured values of MOE for boards with internode surface strands (8.6 GPa modelled compared to 8.1 GPa previously measured), but overpredicts that for boards with surface strands containing nodes (8.8 GPa modelled compared to 6.7 previously measured). The model for loading perpendicular to the preferred orientation of the surface strands gives a good description of the MOE data if the core layer moduli are estimated using compliance averaging, for specimens with and without nodes (1.5 GPa modelled compared to 1.5 GPa previously measured). Zobeiry, N, Malek, S, Vaziri, R & Poursartip, A 2016, 'A differential approach to finite element modelling of isotropic and transversely isotropic viscoelastic materials', Mechanics of Materials, vol. 97, pp. 76-91. Malek, S & Gibson, L 2015, 'Effective elastic properties of periodic hexagonal honeycombs', Mechanics of Materials, vol. 91, pp. 226-240. Malekmohammadi, S, Zobeiry, N, Gereke, T, Tressou, B & Vaziri, R 2015, 'A comprehensive multi-scale analytical modelling framework for predicting the mechanical properties of strand-based composites', Wood science and technology, vol. 49, pp. 59-81. Malekmohammadi, S, Tressou, B, Nadot-Martin, C, Ellyin, F & Vaziri, R 2014, 'Analytical micromechanics equations for elastic and viscoelastic properties of strand-based composites', Journal of Composite Materials, vol. 48, pp. 1857-1874. Gereke, T, Malekmohammadi, S, Nadot-Martin, C, Dai, C, Ellyin, F & Vaziri, R 2012, 'Multiscale stochastic modeling of the elastic properties of strand-based wood composites', Journal of Engineering Mechanics, vol. 138, pp. 791-799. Malekmohammadi, S, Carrasco-Teja, M, Storey, S, Frigaard, IA & Martinez, DM 2010, 'An experimental study of laminar displacement flows in narrow vertical eccentric annuli', Journal of Fluid Mechanics, vol. 649, pp. 371-398. Malekmohammadi, S, Naccache, MF, Frigaard, IA & Martinez, DM 2010, 'Buoyancy driven slump flows of non-Newtonian fluids in pipes', Journal of Petroleum Science and Engineering, vol. 72, pp. 236-243.
described approach was employed and tested. Malekmohammadi, S, Nadot-Martin, C & Vaziri, R 2014, 'A 'Morphological Approach' for Modelling the Elastic and Viscoelastic Properties of Strand-Based Wood Composites: Comparison with Other Recent Analytical and Numerical models', The 16th European Conference on Composite Materials. Malekmohammadi, S, Tressou, B, Nadot-Martin, C, Ellyin, F & Vaziri, R 2013, 'Numerical Approach for Effective Properties of Wood Composites with Partial Resin Coverage of Strands', 19th International Conference on Composite Materials (ICCM 19). Malekmohammadi, S, Foschi, R, Dai, C & Vaziri, R 2013, 'Application of a Multiscale Modelling Framework in Reliability Analysis of Strand-Based Wood Composites', The International Conference on Wood Adhesives. Gereke, T, Malekmohammadi, S, Nadot-Martin, C, Dai, C, Ellyin, F & Vaziri, R 2011, 'A numerical multiscale approach for stiffness predictions of wood composite', Proceedings of the American Society for Composites: twenty-sixth technical conference. Malekmohammadi, S, Thorpe, R & Poursartip, A 2011, 'Adaptation of Solid Micromechanics for Modelling Curing Resins in Process Simulations', 18th International Conference on Composite Materials (ICCM 18). Malekmohammadi, S, Thorpe, R & Poursartip, A 2011, 'Incorporating Fibre Bed Properties in Solid Micromechanics for Curing Composites', 26th ASC Annual Technical Conference (the Second Joint US-Canada Conference on Composites)..
Malekmohammadi, S, Thorpe, R & Poursartip, A 2011, 'Incorporating fibre bed properties in solid micromechanics for curing composites', 26th Annual Technical Conference of the American Society for Composites 2011 and the 2nd Joint US-Canada Conference on Composites, pp. 1368-1383. With the move towards knowledge based manufacturing of composite structures, typically using process models, the characterization of materials behaviour becomes increasingly important. The use of classical micromechanics equations to represent the smeared response of fibre and matrix is common in current generation residual stress and deformation models that focus on post-gelation resin behaviour. However, next generation integrated process models aim to cover the full range of resin behaviour, and thus the use of classical micromechanics equations must be evaluated. As we show in this paper, classical micromechanics equations are unable to predict the shear modulus of composites in the early stage of cure, where the resin is in a fluid state. For accurate prediction of the shear modulus throughout cure, a simple micromechanical model (isostress) as well as a more realistic one (Composite Cylinders Assemblage) are modified by incorporating the fibre bed behaviour. Promising agreement is observed between the predictions of these modified models and experimental results. Furthermore, this approach is compared with the one used in an integrated process model framework developed by Haghshenas et al. . Comparisons show very good agreement between the two approaches using classical isostress and isostrain micromechanics. However, discrepancies are noticed when Composite Cylinders Assemblage (CCA) model is employed. It is shown that these discrepancies arise from the difference in fibre bed stiffness values and can be minimized to an insignificant value. Malekmohammadi, S, Naccache, MF, Frigaard, IA & Martinez, DM 2008, 'Slump Flows inside Pipes: Numerical Results and Comparison with Experiments', AIP Conference Proceedings, AIP, pp. 1420-1422. Malekmohammadi, S 2014, 'Efficient multi-scale modelling of viscoelastic composites with different microstructures'. Malekmohammadi, S 2009, 'An experimental study of two multi-fluid flows of interest to the oilfield cementing industry'.